I was born in South Florida in 1985 and raised by my mom and my grandma in a small apartment. I have been buying Real Estate since 2006. The first property I bought was a 5,000 Sqft 4 Unit in Louisiana when I was 21. Since then I have become a full time Landlord, Rehabber, and Real Estate Agent. 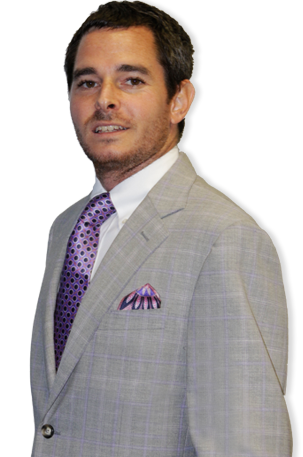 I have successfully bought over 400 properties in South Florida from people just like you. That equates to over 50 Million dollars of property bought and sold and you can be next if you’d like. I buy properties from people who want to sell their home cash just because it’s the right time for them, and I also buy properties from people who are motivated to sell their home cash because of some problem they or their property are facing. If you want to Sell Your Property Cash, you are talking to the right person. I’ve bought almost every kind of property. I’ve bought Fire Damaged Properties, properties with bad tenants, mold, hurricane damage, properties with illegal additions, squatters, bad roofs, properties in need of a full renovation, properties I had to buy without ever getting to see inside before I wired the money, multi-family property, Land, Multi-Million Dollar Property, Ocean Access, Frame Construction, 55 + Communities,1031 Exchanges, and I basically buy property in all areas and price ranges, so yes I can buy your property too. I never turned down a deal. I have even bought Apartment Buildings, Bank Notes, and everything in between. No Deal is too BIG or too small for me. I am an equal opportunity buyer. Sometimes people who contact me regarding selling their home cash are facing an issue and they want to know that I can equipped and experienced in that subject matter and ready to buy their home cash if they are ready to sell their home cash. The answer is YES. I have a lot of experience as I mentioned with 400 + purchases, over 10 years of buying with 50+ million dollars spent. I own and operate many investment companies with employees on 5 + different continents at any given time, including here in the U.S.A. All the experience I have, and knowledge I have acquired, should make me your # 1 choice if you want to Sell Your Property Cash. You are in good hands with me. The best part is I am local to South Florida, born and raised, and you can meet with me personally at any time to discuss selling your home cash! I am easy to talk to, and I’m a regular down to earth guy, not a big company, or salesman. Getting the right advice upfront, and not getting someone to over promise just to get a contract signed, and then under deliver later is very important. Too often people get into doing deals with shady characters, or people with little to no experience, which only leads to problems later. My experience will make sure we start off on the right foot, and close the deal the same way. Other people you may be considering to buy your house do not have the experience in buying houses that I do. My numbers speak for themselves, so don’t hesitate to Sell Me Your Property Cash. One of the reasons why people sell me their property cash besides my experience is I am an intelligent man of the people. I tell it how it is, I do what I say, and people trust me because of that. Before I started buying property and even while buying property, times were hard. A lot of people I buy property from are doing just fine, but some of you may be facing hard times, or life changes. I have been in your shoes before which makes it easy for me to relate to you, and in turn you will know you are selling your property cash to someone who respects you and genuinely understands your point of view, and desire for success. People hire me for easy deals, and they also hire me because I know how to solve even the hardest problems. I care about making you happy with the result of the sale, and inspiring confidence in your decision to sell, not just getting you to sign a contract. My mom taught me actions speak louder than words, and so I can show you how I can buy your property cash, way better than I could ever tell you. I hope that you will give me an opportunity to do just that. The bottom line is this: If you are interested in selling your property, or discussing your options with a true professional, then please call, text, or message me from this website by filling out either of the 2 forms above. Don’t forget to check out the “What to Expect Tab” to learn about getting a cash advance, paying no closing costs, and learn more about our process of purchasing your property for cash. I would love the opportunity to help you sell your home cash, and thank you for spending your valuable time visiting my website. I look forward to hearing from your soon!